This hidden gem, only 40 minutes drive from Glasgow and Edinburgh, is located in the historic town of Bo’ness. Our friendly staff will welcome you aboard one of our heritage steam or diesel-hauled trains and wish you a pleasant journey. The train travels along the shore of the Firth of Forth with views of the majestic Ochil Hills, before climbing a tree-lined gradient, passing woodland, wild flowers and waterfalls to the country station of Birkhill. Alight here to take a stroll in the ancient woodlands of the Avon Gorge. Beyond Birkhill, the train crosses the River Avon Viaduct to Manuel beside the Edinburgh to Glasgow railway line. Please note Birkhill Fireclay Mine is currently closed to allow for safety works. The Bo'ness and Kinneil Railway is home to the volunteers of The Scottish Railway Preservation Society and houses the largest collection of locomotives, carriages, wagons and railwayana in Scotland. Experience a journey on board a restored steam train, along the shores of the River Forth to Birkhill where you can explore the Avon Gorge and Birkhill Fireclay Mine. Several historic buildings have been obtained and re-erected to provide a traditional railway setting. We regret that Birkhill Fireclay Mine is temporarily closed to enable urgent safety works to take place both above and below ground. This closure does not affect the operation of the Bo’ness and Kinneil Railway. A unique part of Scotland's Industrial Heritage, Birkhill station opened in 1989, and since then passengers have enjoyed the opportunity to tour the caverns of Birkhill Fireclay Mine. Situated in the Avon Gorge beside Birkhill Station, the Mine is open on every day when trains are runnning. High quality high alumina fireclay was dug from the mine and formed into bricks which lined the industrial furnaces of Central Scotland. Part of the vast labyrinth dug through the fireclay seam has been opened up to visitors, and you can enjoy a thrilling underground tour of the old workings. Tour guides will meet your train at Birkhill Station and then lead you down into the ancient woodland of the beautiful Avon Gorge and on into the Mine caverns. 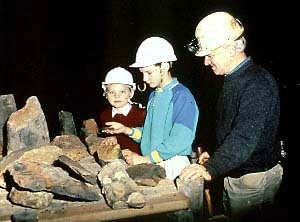 You will see the underground workings, the 300 million year old fossils and hear about the life of the fireclay miners. 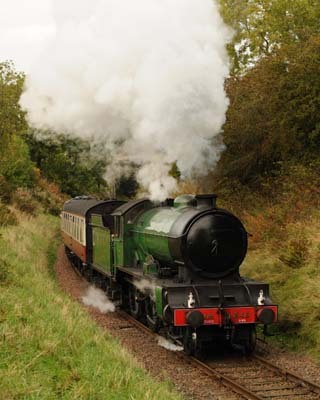 Open on Bo'ness & Kinneil Railway operating days between April and October. Mine tickets can be bought with train tickets at Bo'ness Station, or can be purchased at Birkhill Station on arrival. The workings are at a constant 11°C (52°F) throughout the year, so please wear suitable clothing and footwear. The caverns can only be accessed by foot and there is no suitable access for the disabled at present. Based at Bo’ness and open 7 days a week from April to October. 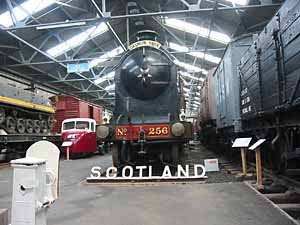 The Museum of Scottish Railways has been extended in 2012 with the addition of a 16,000 sq. ft. train shed to house the last remaining “Glasgow Blue Train”, a recently restored Class 126 Diesel Multiple Unit and several other heritage items of rolling stock. In the main exhibition hall, operate a railway signal and points, climb aboard heritage locomotives and learn about the making, operating and using of Scottish Railways through the ages. Take time to sort some letters in the Post Office Sorting Van and view the classic video Night Mail. It has the largest collection of railway locomotives, carriages, wagons, equipment and artefacts outside the National Railway Museum in York. Bo'ness is on the South shore of the River Forth, 8 miles West of the Forth Road Bridge. Fom the East leave the M9 at J3 and follow the A904 to Bo'ness. From the West Leave the M9 at J5 and follow the signs to Bo'ness on the A904. Once you are in Bo'ness follow the Brown tourist signs. For bus timetables contact Traveline Scotland on 0870 6082 608. Train information can be obtained from National Rail Enquiries 08457 484950. The nearest national stations are Linlithgow and Falkirk Grahamston. Free car and coach parking is available at Bo'ness Station. 17-19 North Street, Bo'ness, West Lothian.